Dublin - the Irish heart of Ohio. 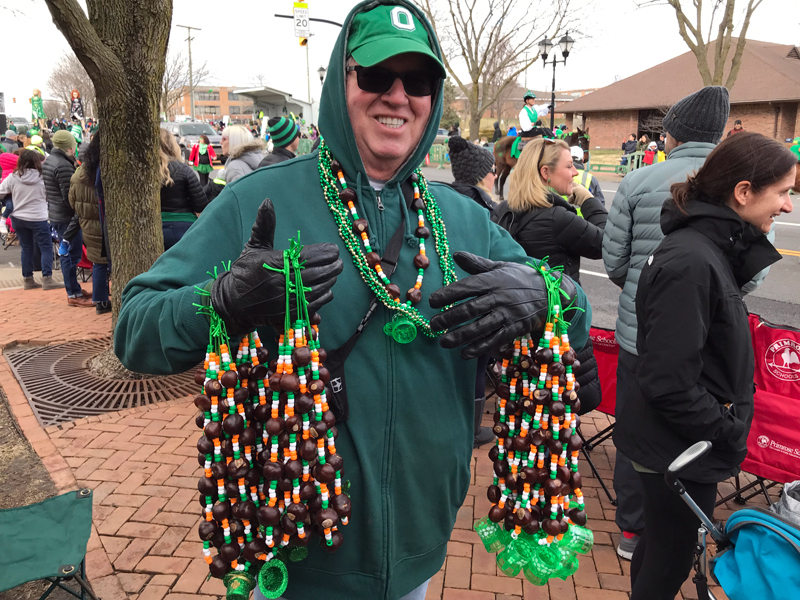 Published April 5, 2019 at 9:02 a.m.
For years, Dublin, Ohio was a quiet little gem running parallel along the west bank of the Scioto River – about a dozen miles from downtown Columbus – with bars, restaurants and quaint shops in limestone, brick and frame buildings dating to the 19th century. But, now, thanks to a number of factors – the most recent being the rapid-fire construction of the mixed-use Bridge Park development on the east bank – there's a rainbow that spans the Scioto and has a pot of gold on each side. Once a sleepy suburb of Columbus – which has a dining, brewing and distilling scene so vibrant that the second largest city in the Midwest landed on this year's 52 Places to Go in 2019 list in The New York Times – Dublin is now a prosperous, growing community of nearly 50,000. It's also a quick getaway from Milwaukee. John Sells came to the area – which had been home bands of the Wyandot tribe and a few settlers – in 1808, and within two years had tapped Irish immigrant John Shields to survey and subdivide the land that had been a gift from his brothers. Sells allowed Shields to name the new town and the surveyor opted for Dublin, in honor of his hometown. 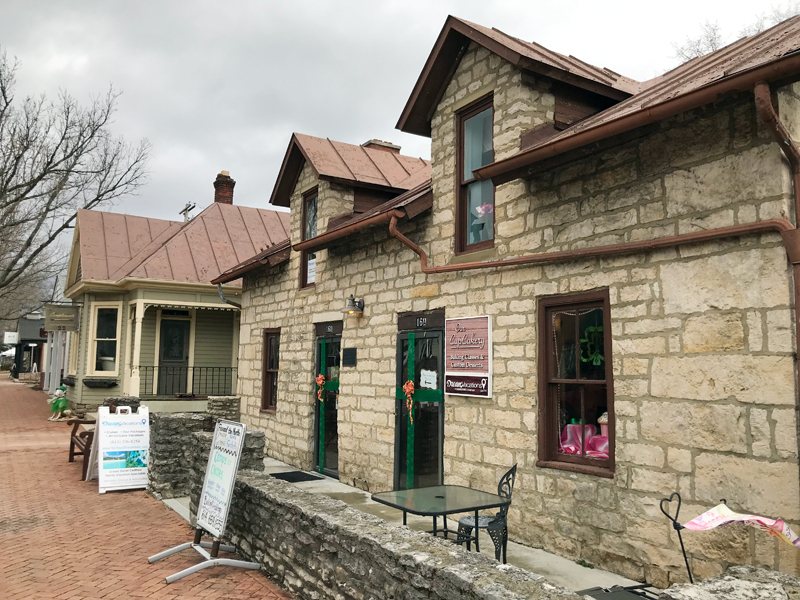 Despite its name, Dublin soon became home to mostly German immigrants, according to Becky Schisler, who leads ghost tours of the town, and in short order there were 13 taverns and the "wild west" mayhem you might expect, she says. By the time the outer belt freeway was constructed in 1970, Dublin still had fewer than 700 residents, but that all changed with the new bypass and again in 1976 when Jack Nicklaus opened the Muirfield Village Golf Club, which hosts the PGA Tour's Memorial Tournament each spring. Two years ago, construction began on Bridge Park, across the Scioto River, and Dublin has changed once again. 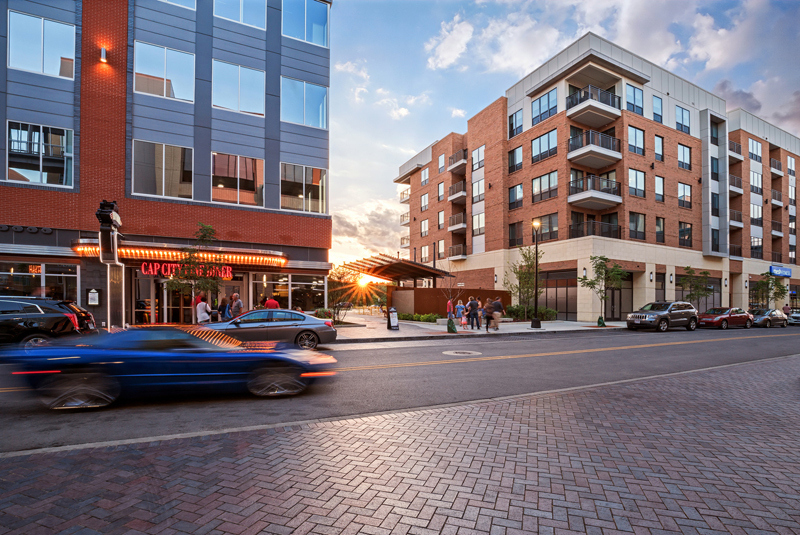 Bridge Park is a sort of instant community with residential units resting atop retail spaces, adjacent to parking structures and commercial office space, too. In the roughly half-dozen buildings already erected – more are currently under construction, with more yet to break ground – there's a dental office, an events space, a dry cleaners, more than one spa, the luxury retro Cap City Diner, Local Cantina Mexican restaurant, Fukuryu Ramen, Sweetwaters Coffee and Tea, Kilwins Chocolate, Pins Mechanical Company & 16-Bit Bar and Arcade, RAM Brewing, Fado Irish Pub & Kitchen and, well, you get the idea. At least four more restaurants and bars – as well as additional services and retail – are slated to open soon. The jewel is the eight-story AC Hotel Columbus Dublin, with its striking exterior, comfortable, well-appointed modern rooms and the incredible VASO restaurant perched on the roof, with a patio that has become the spot in Dublin. 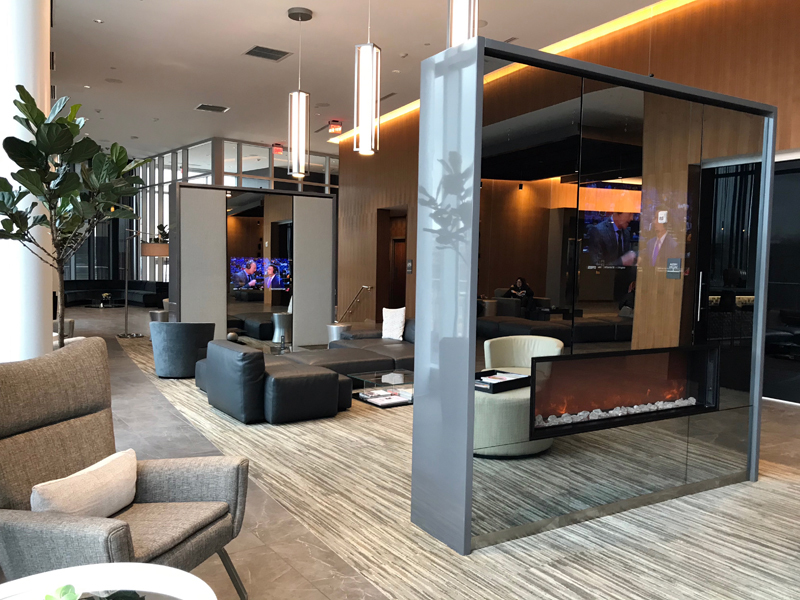 "In the past Dublin went to downtown Columbus for a night out," says Orcun Turkay, the AC's general manager. "But now downtown Columbus comes to Dublin." That's because VASO has a stunningly creative chef in David Belknap, who spent a couple years at Thomas Keller's Per Se in New York. Belknap also ran his own oyster bar on Fifth Avenue before heading to Mexico to expand his culinary horizons (and get married). A chef needs good timing and it turns out that Belknap, a Columbus native, has it in spades. 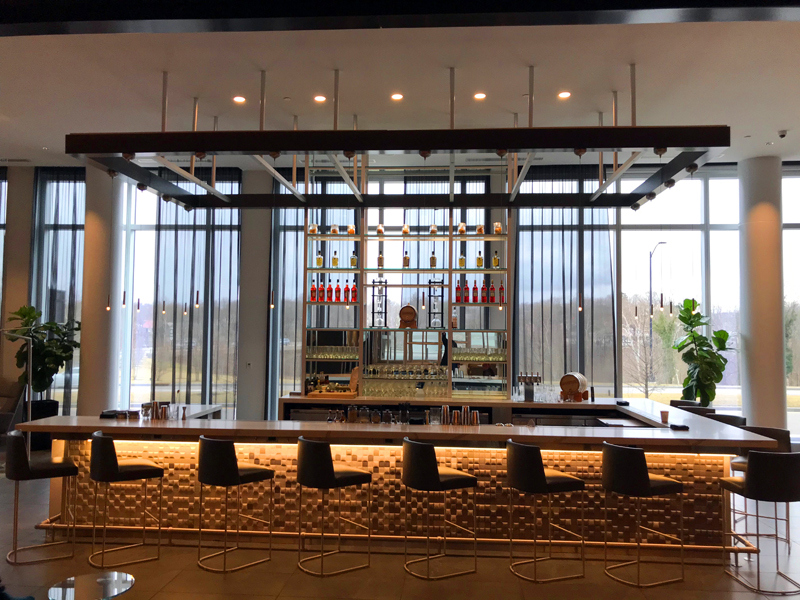 Ten days before VASO opened, the previous executive chef quit, and, by coincidence, Belknap came calling. "I've always wanted to come back to Columbus and share my experience," he says, "to bring together in my hometown all the things I've learned in my career." 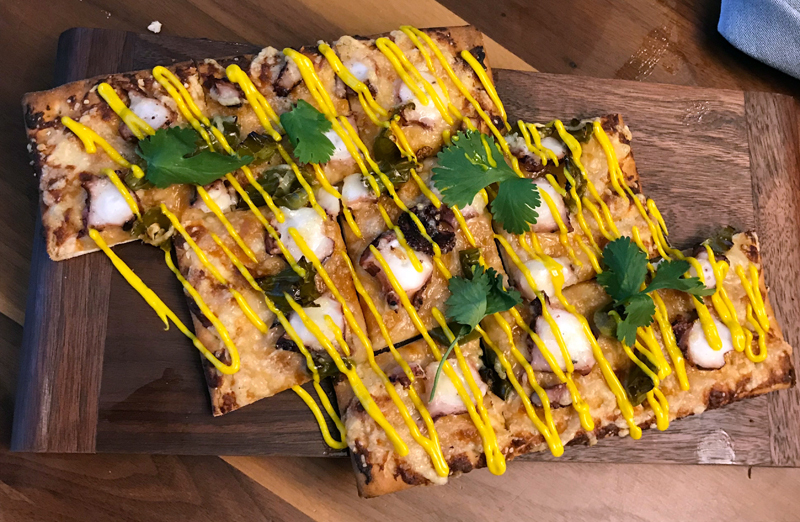 Belknap's new spring menu includes a number of unexpected plates, from artichokes deep fried in falafel with tzatziki sauce to a hummus verde made with edamame instead of chickpeas to a number of dishes boosted by a rich, stunningly yellow saffron aioli, including an octopus flatbread (pictured above) and cheesy churros. The restaurant also boasts a vibrant cocktail program that is constantly working to bring unique, interesting and engaging concoctions to an area that has long been heavy on vodka tonics. Though the hotel has made the gin and tonic its signature drink, it has put its own spin on this popular classic. 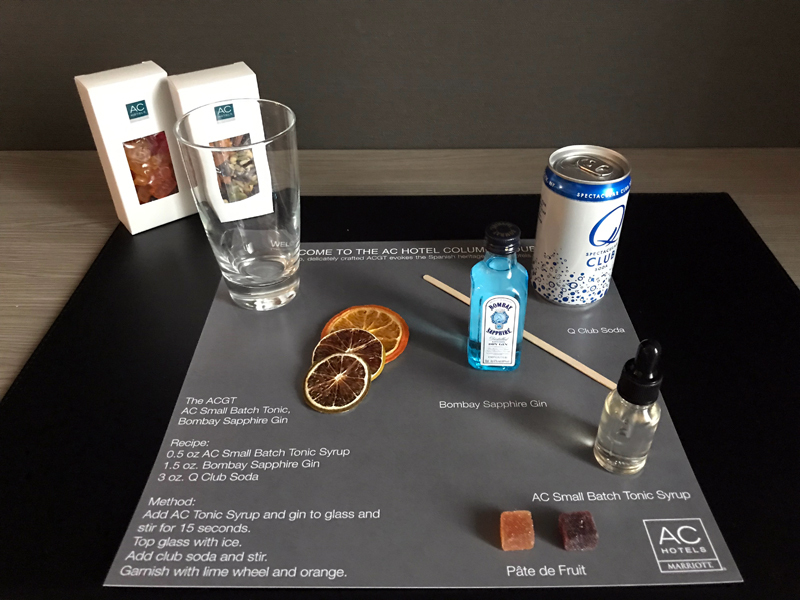 In the guest rooms, for example, there are do-it-yourself G&Ts (pictured below) for newly arriving guests. 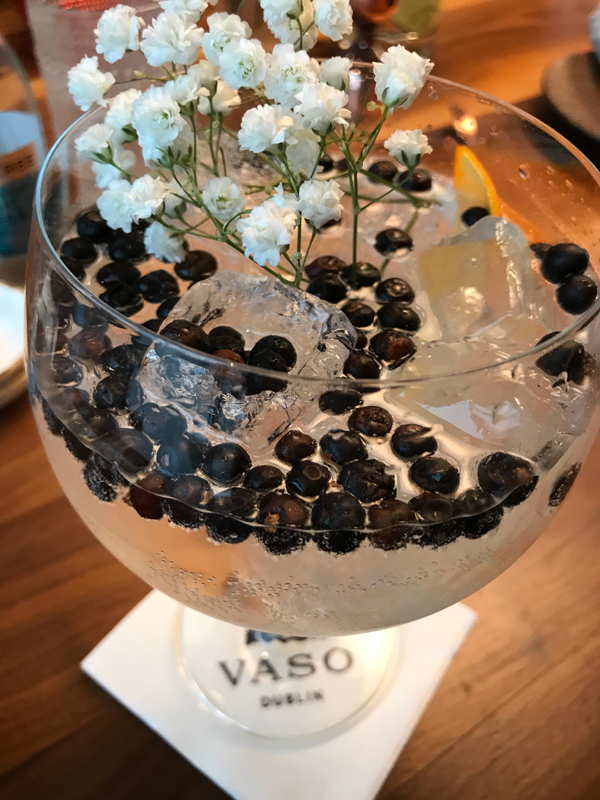 Up at VASO, the gins and tonic are almost works of art, served in large glasses with wispy sprigs of baby's breath. 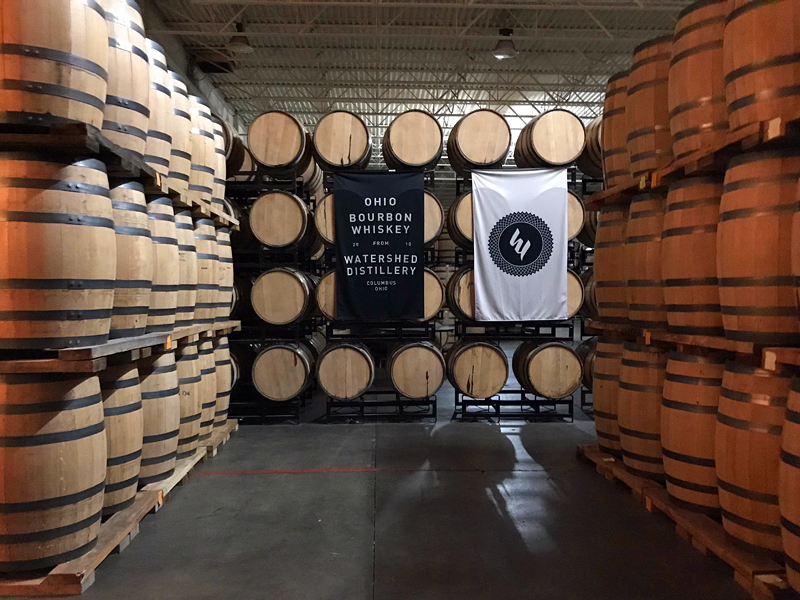 The cocktail is based upon a proprietary gin created in collaboration with Columbus' Watershed Distillery – which, like VASO, also boasts a formidable chef, Jack Moore, doing unique things. 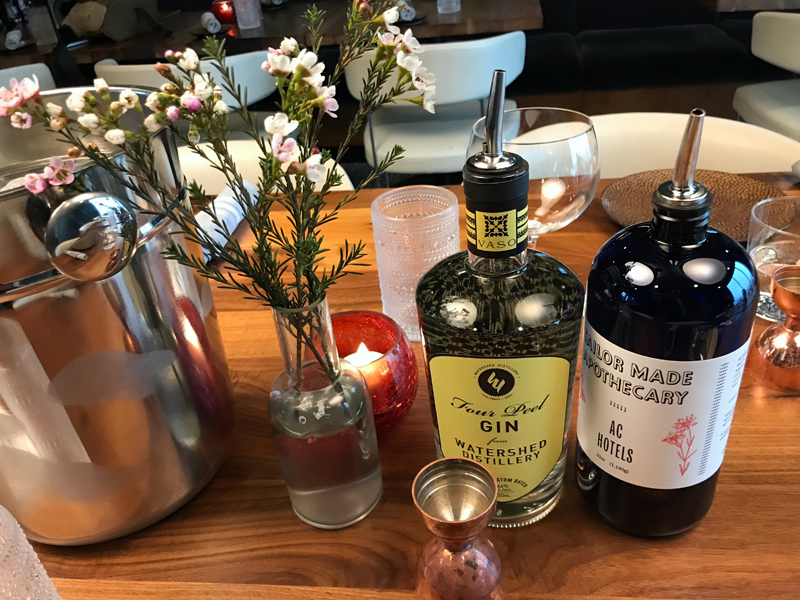 The "Four Peel" gin – which in the special VASO version uses rinds from four fruits: Meyer lemon, lime, grapefruit and Seville orange – has become so popular that Watershed has bottled it for retail sale and other bars around town. "We're bringing pretty unique stuff to Dublin – things they haven't seen," says Turkay. "We're really trying to push the envelope. "The more we educate our customers, the more we can do (in terms of new cocktails and dishes). It's a good challenge for us." 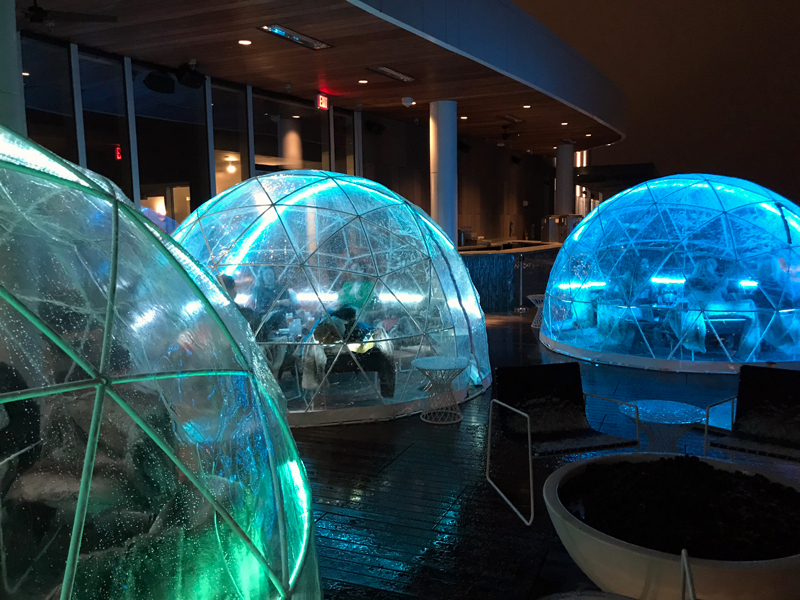 This winter Turkay added heated igloos to the patio, which overlooks the river, to activate a space that is wildly popular for half the year, but had been dormant the other half. Now, the patio is a major destination all year long. 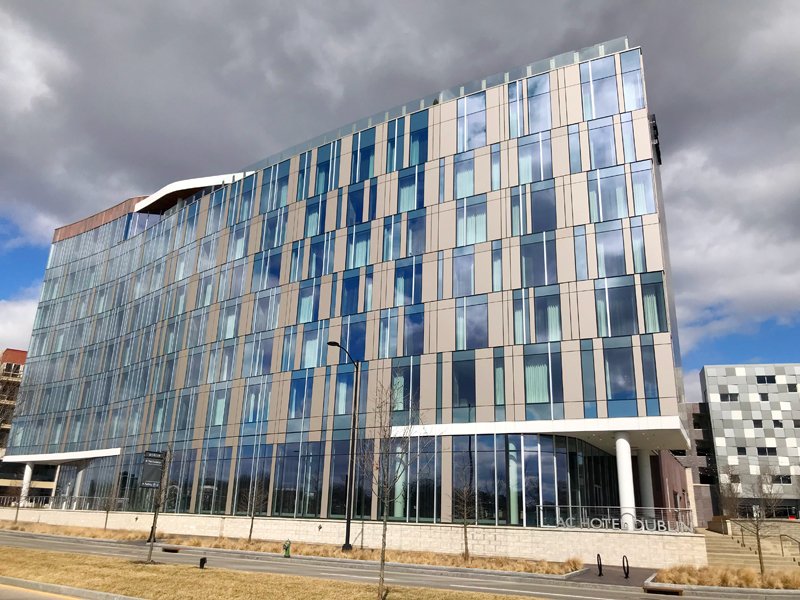 "Bridge Park is a wonderful addition to Dublin to entice younger folks to want to live here," Clay Rose, a retired Visit Dublin Ohio board member, says. "We were a little stodgy and the cost of living was pretty high here, so there wasn't much for younger people. This is a big step forward." Back across the river, in "old" Dublin, the bar and restaurant scene is also hopping, and with good reason. There are quality options at all price points, from pub food at The Dublin Tavern to inventive wood-fired pizzas at Harvest – which also walks a pretty ace cocktail walk – to classic French pastries at La Chatelaine, to upscale Italian at Tucci's. 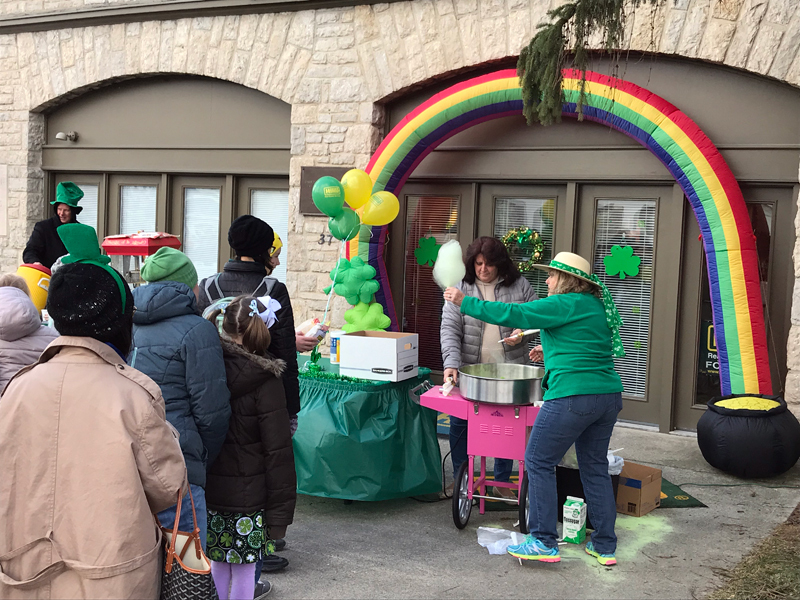 The time to visit is the Saturday before St. Patrick's Day, when the entire town fills up for a 90-minute parade that is equal parts aim-high impressive and small-town charming, with free hot chocolate and popcorn, balloons for the kids, a great Irish band on stage and a few thousand folks on hand to breathe it all in. These days, the lines between "new" and "old" Dublin are blurring. 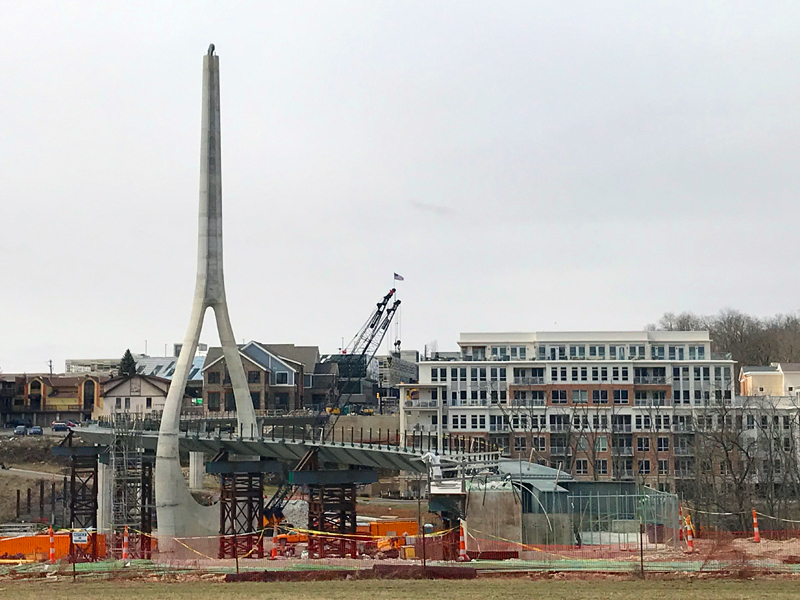 There's a grand new library with a contemporary design sprouting up in the heart of "old" Dublin and just across the street you can see what will be the western access point to a serpentine new footbridge across the Scioto to Bridge Park. Once the bridge is complete later this year, navigating between the two sides of the river will be easier than ever. 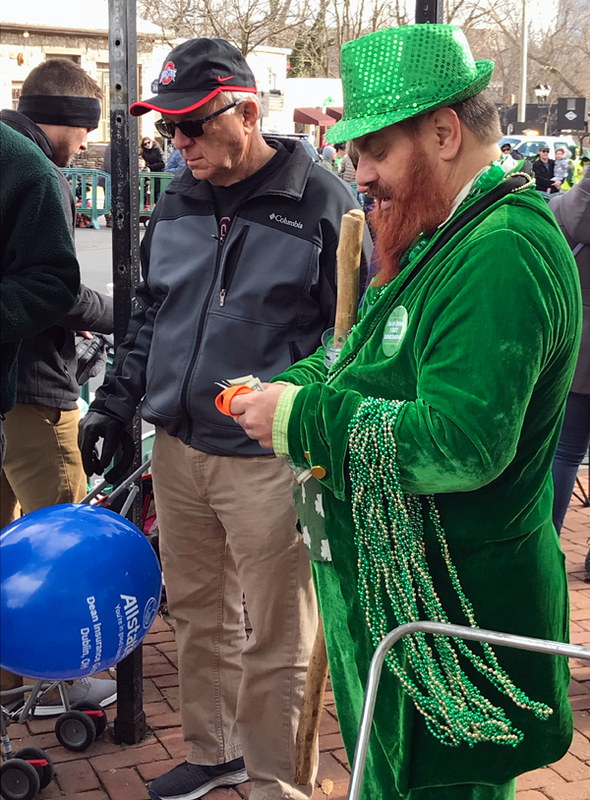 "The bridge is being built to say we can't have old Dublin and new Dublin," says Rose, the 2010 parade's Grand Leprechaun. "We need it all to just be Dublin."